Dr.Boyd has over 30 years of academic and commercial experience and is currently Technical Director for The Hanor Company, an integrated pork production and food processing firm. Dr. Boyd graduated from Colorado State University. (1974) and received a PhD in Animal Nutrition from the University of Nebraska (1979). He then joined the faculty in Animal Science at Cornell University, where he gained an international reputation for his pioneering work in the regulation of nutrient use for growth. 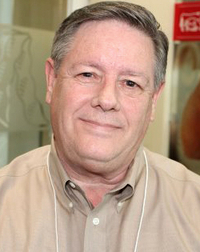 Dr. Boyd became the global Director of Nutrition for the Pig Improvement Company in 1993, where his team published the first research-based Nutrition Guide for a Pig Genetics company. Later, he joined the Hanor Company (2002) as Technical Director and Nutrition leader. His team manages the Nutrition program for 95,000 Sows and 2.45 MIL pigs. He has published more than 250 papers and has given more than 150 invited national and international presentations. He also holds adjunct Professorships in Animal Nutrition at North Carolina State and Iowa State Universities.